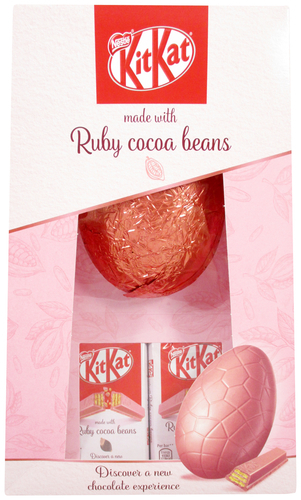 Nestle Kitkat Egg And Bars Made With Ruby Cocoa Beans (UK). Kitkat Ruby chocolate egg shell with 2 individual packs of Kitkat Ruby chocolate coated wafer fingers. Comes in a recyclable carton box.